In West Pomerania, the city of Szczecin is a major seaport that first grew rich from trade on the Baltic in the Middle Ages. Known as Stettin in German, it’s a city that has passed between opposing powers for hundreds of years. The Dukes of Pomerania were replaced by the Swedes, followed by the Prussian Empire. For visitors, Szczecin’s charm is in its Haussmann-style avenues and the majestic embankment that was constructed on the Oder at the start of the 20th century. Some things to keep on your agenda are subterranean tunnels used as a Cold War bunker, museums on technology and contemporary history and a state-of-the-art concert hall that looks like something from another planet. Founded in the 14th century, the castle for the Dukes of Pomerania got its marvellous Late Renaissance architecture in the 1570s. After the Peace of Westphalia it was the seat of Szczecin’s Swedish governor, before the Queen of Poland moved in at the start of the 18th century. A lot of the Renaissance elements were lost during Prussian rule in the 1800s, but these have been restored since the Second World War by referring to an engraving of the property from 1653. 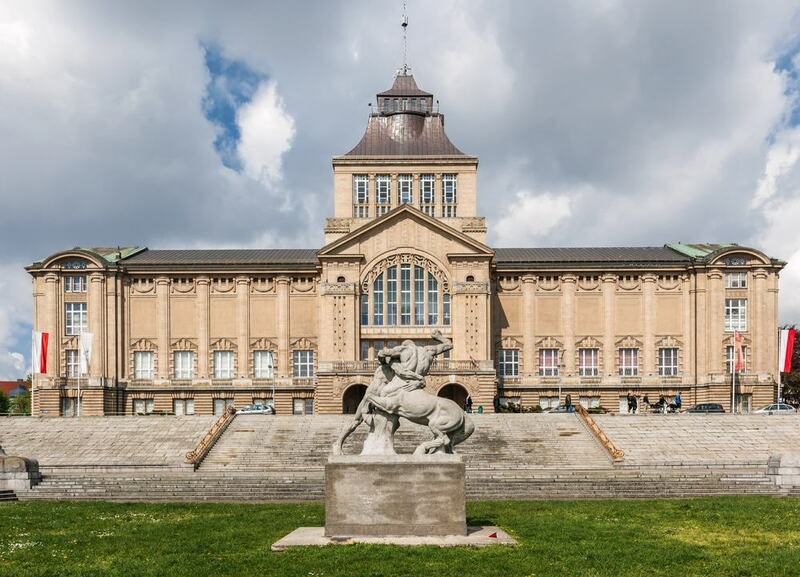 The interior is a museum, guiding you around the loggia and restored state rooms and apartments, and revealing the artefacts discovered in excavations during the reconstruction after the war. There are as many as 40 temporary exhibitions in the “Big Gallery” each year, dipping into another aspect of the castle’s turbulent history and roll-call of eminent owners. You don’t have to be an expert on classical music to enjoy this concert hall, which won the European Union Prize for Contemporary Architecture in 2015. The Barcelona firm Barozzi Veiga came up with the design, which is quite unlike any other cultural venue in the world. This translucent, white glass building has a mass of jagged peaks that look a little like townhouse gables. The whole building has an icy glow at night, and has quickly become a modern symbol for Szczecin. The main hall has a capacity of 1,000 and puts on a busy cycle of performances by the Szczecin Philharmonic Orchestra, which was founded in 1948. Raised almost 20 metres over the Oder River, this monumental embankment is more than half a kilometre in length. The promenade, laid out just before the First World War, follows the riverside course of Szczecin’s Medieval fortifications, which were pulled down in the 18th century. Solemn edifices stand high above the river atop grand stairways and terraces. One building that turns heads is the Szczecin Voivodeship Office, built in the Neo-Renaissance style for the former Stettin Regency in 1911. If there’s a time to wander by the Oder it’s after sunset when the city is in lights and there’s a big choice of restaurants vying for your business. The oldest quarter in Szczecin, below the Pomeranian Dukes’ Castle, was completely levelled during the Second World War. And unlike in cities like Warsaw, Poznań and Gdańsk there was no immediate reconstruction. 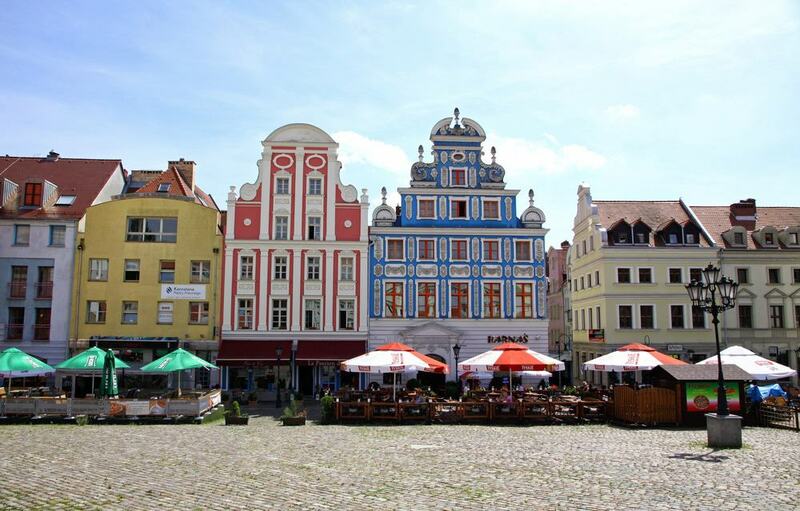 The project was delayed until 1994 and only a few monuments have been reconstructed so far, concentrated around the Rynek (Old Market Square) and built according to their original plans. 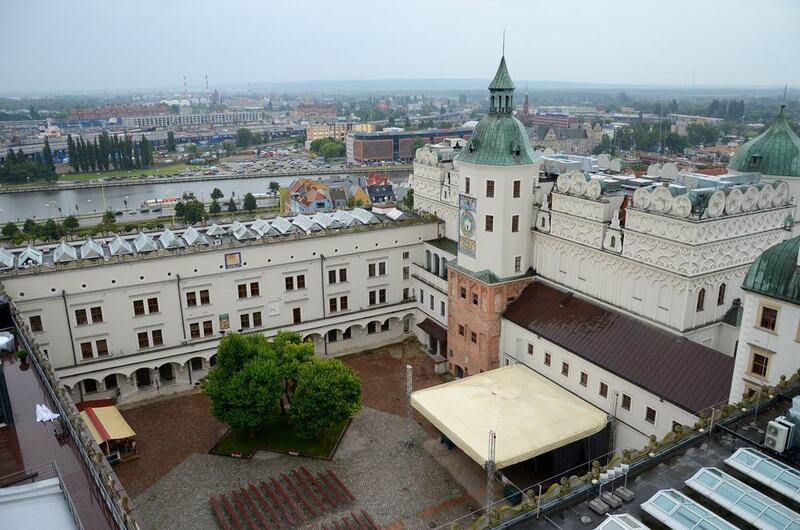 But even knowing that these aren’t originals, the cobblestone square deserves to be seen for its colourful Baroque gabled townhouses and the reconstructed town hall, which has a museum about the tempestuous history of Szczecin. 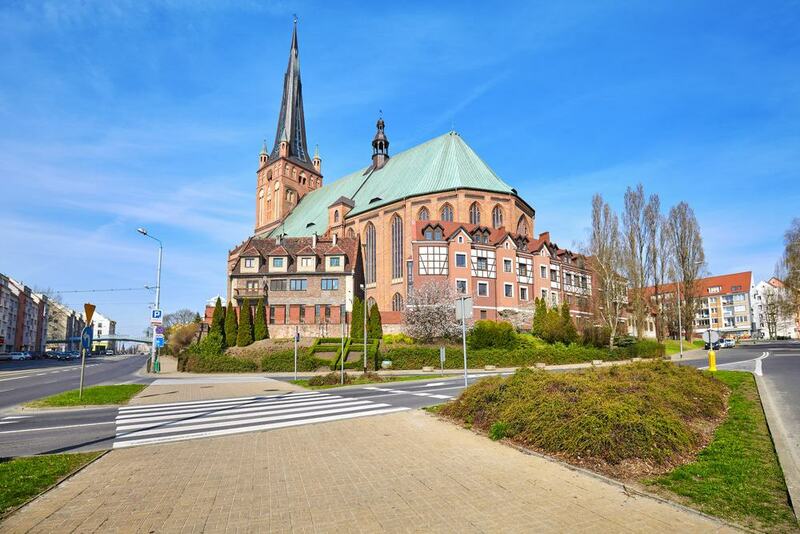 The largest place of worship in the Szczecin, the cathedral was founded in the 1100s and can hold 10,000 people. The design we see today is from the end of the 19th century, after a storm in 1456 and then the Scanian War in 1677 razed the previous buildings. This current version was also badly damaged in the Second World War and the restoration is ongoing. Another big change was the denomination, as Stettin’s cathedral had been Lutheran since the Reformation and naturally became Catholic after the war. On the east side of the chancel is a triptych made in 1981 but composed of fragments of destroyed altarpieces going back to the 1400s. And in the cathedral’s 15 chapels are paintings, altarpieces, sculptures and architectural fragments from the 16th, 17th and 18th centuries. In the Second World War Stettin’s German residents took refuge from bombing raids in this subterranean complex adapted from pre-existing 19th-century catacombs. The tunnels have five levels, descending 17 metres underground and with a total area of 2,500 square metres. After the war the shelter was turned into a nuclear bunker, which was finally decommissioned in 1990. You can take two separate themed routes through this thrilling and enigmatic network of tunnels. The first deals with the Second World War and has reconstructed living quarters, and photos and artefacts from the time. There’s also a Cold War route, detailing how the shelter was reinforced against a nuclear attack and showing Polish Civil Defence gear. Both tours last an hour. 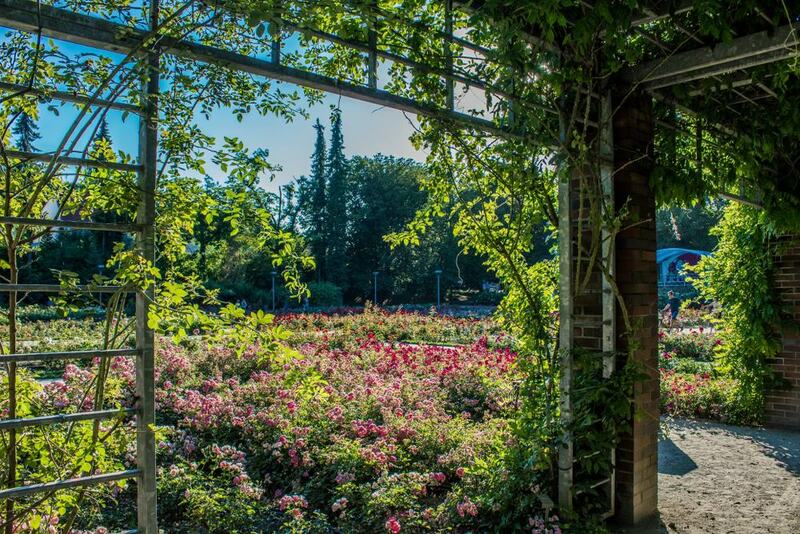 Opening out to the north of the City Council Building, Szczecin’s main urban park covers more than 27 hectares, but also joins up with the neighbouring Rose and Botanical Gardens. 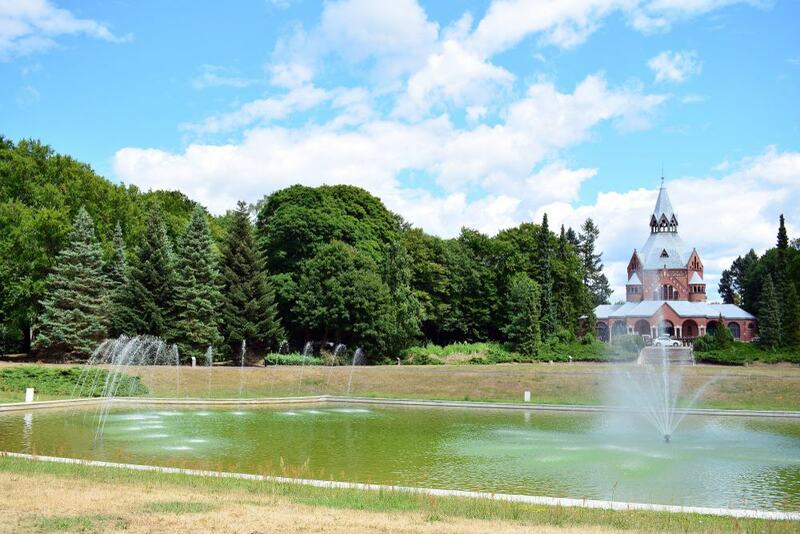 Planted with rare and exotic trees, the park is situated in an idyllic valley sloping down to the Rusalka Lake. This body of water was created more than 300 years ago when the Osówka Stream was dammed. 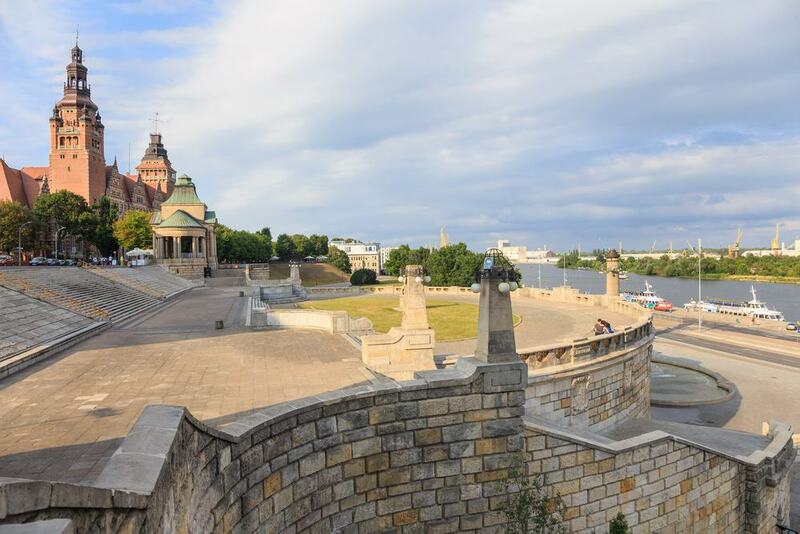 The amphitheatre in the park can seat 4,500 and stages concerts in summer, while the most imposing monument rises to more than 22 metres and is topped with three eagles to commemorate the rehabilitation of Szczecin after the Second World War. Try to come to the park in early spring when the lawns are carpeted with bright crocus flowers. With six locations across Szczecin, this museum was founded in 1945, picking up from the defunct German institutions before the war. The main building is at Ulica Wały Chrobrego 3 and has a Historicist design from the 1910s. 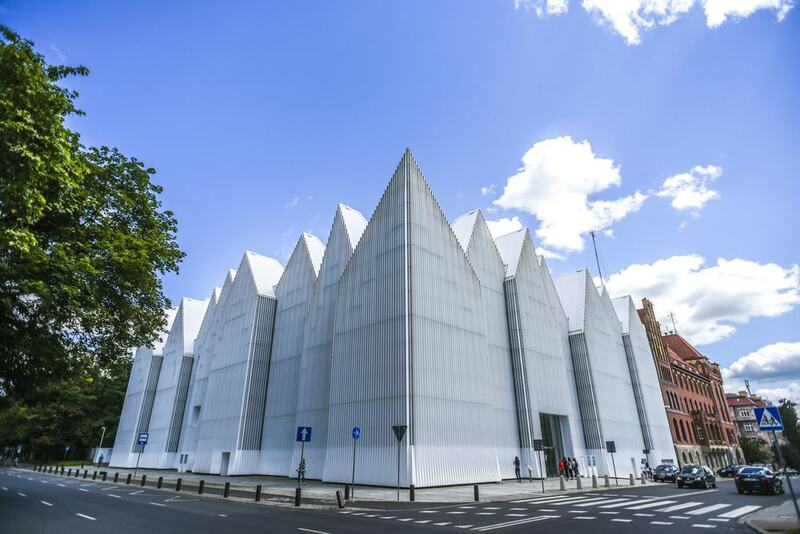 This holds nautical collections, and also Poland’s most significant ethnography exhibition. If we had to pick one branch of the museum to see it would be the Old Art Gallery at Ulica Staromłyńska 27. This has paintings by Max Slevogt, Lucas Cranach the Younger and Lovis Corinth, as well as liturgical art including column capitals and altarpieces. Worthy of special mention is the 15th-century St John’s Polyptych, with sculpted and painted elements showing scenes from the Life of Christ. Another location for the National Museum to seek out is this exhibition about Szczecin and Western Pomerania’s contemporary history. “Upheavals” opened to the public in early 2016 and looks at the key moments from the last 70 or so years that changed history in this region and Poland. That could be the inclusion of Szczecin into the Polish state after the Potsdam agreement in 1945, as well as the social unrest in 1970, 1981 and 1989 and Solidarity that eventually saw Poland regain its sovereignty. The building is partly underground on Solidarity Square and has lots of interactive displays and multimedia from the time or showing the recollections of eyewitnesses. The location of the museum is full of meaning as it was here in 1970 that the first shots were fired against protestors during anti-communist revolts that left 45 dead. Established in 2006 in an old tram depot, the Museum of Technology and Transport is one of the largest museums of its kind in the country. You can find out how people got around in the post war years via an array of Polish-built cars, motorcycles, trams and buses. And as Szczecin was a bike and car manufacturing town for most of the 20th century the automotive displays are especially interesting. 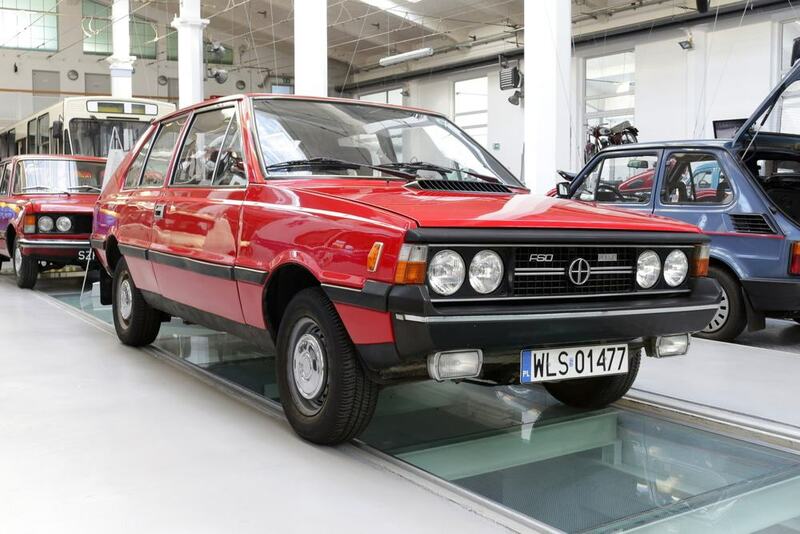 Among the cars and trucks are models like the FDO Warszawa, FSC Żuk, ZSD Nysa, Star 25, Syrena, Mikrus, but also a Polski Fiat 125p and 126p, which were manufactured during communist times under a licence agreement from the Italian brand. There’s also a tram driving simulator putting you behind the wheel of one of a Konstal 105Na, the most common tram model in Poland. 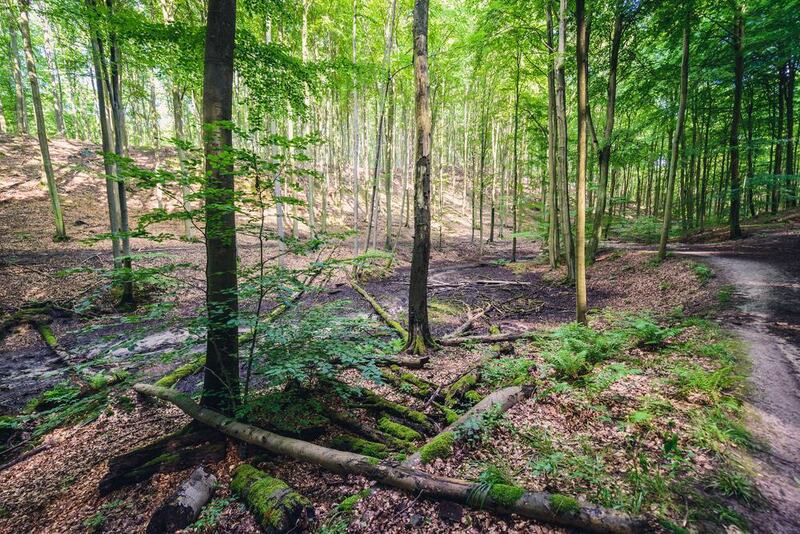 To escape the city without leaving its boundaries you can make the 10-minute drive southeast, across the West Oder to this tract of beech woodland in the Bukowe Hills. Keep your phone or camera ready because these woods are almost magical, with high, slender beeches and the mossy forest floor giving off a captivating green light. At the centre is the appropriately named Jezioro Szmaragdowe (Emerald Lake), taken for the vivid green colour of its water. The lake is actually a flooded chalk mine that dates back to the 1860s, and there’s a cafe today on the water’s edge. Also by the lake are the remnants of German bunkers from the Second World War and an artificial grotto from 1880, designed to make the entrance to the chalk mine look more natural. 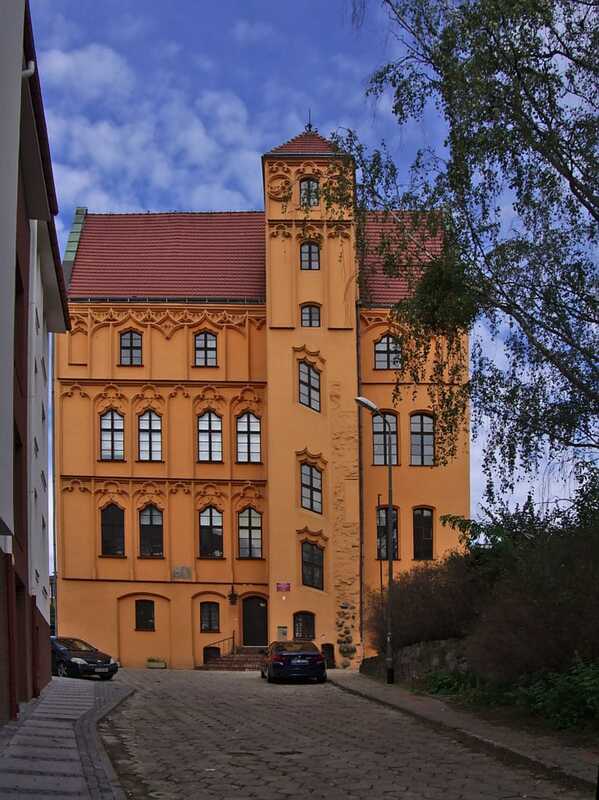 There’s no missing this Late Gothic burgher house at Kurowa 1 between the Old Town and the Dukes’ Castle. Painted in an arresting bright orange, this palatial townhouse went up in the 1540s and its first occupants were the Loitz banking family. After they went bankrupt it was taken over by the Pomeranian dukes, and after the Peace of Westphalia it was the seat of Szczecin’s Swedish councillor. The building was burned out in a bombing raid in the 1944, but the external decoration remained. There’s a bas-relief of the Conversion of St Paul, sculpted in the mid-16th century, ornate tracery above the windows and beautiful angled windows on the staircase in the tower. A decade ago the rose garden in the western corner of Park Kasprowica was brought back to life after a period disrepair. Set in two hectares, it was first planted in 1928 for the World Gardening Exhibition and came through the Second World War unharmed. But an absence of funding at the end of the Communist era brought about a decline. This was reversed in the second half of the 2000s when, with the help of photographs from the 1930s, landscape architect Małgorzata Haas-Nogal was able to recapture the garden’s former beauty. There are 9,000 roses from 99 varieties, and trees like apple, hornbeam, maple, chestnut and Serbian spruce planted when the garden was first created 90 years ago. Check in with the tourist office for details about summer classical concerts in the garden. Szczecin has the largest cemetery in Poland and the third largest in Europe. And although that may not sound like cause for celebration it’s a calm and fascinating space that rolls out like a park in the middle of the city. The Central Cemetery is a Polish national monument, 116 years old and almost 170 hectares in size. The landscaping and many stone monuments are what bring casual visitors to the cemetery, to spend a peaceful hour or two on leafy paths admiring the fountains, colonnades, yew tree hedges and formal flowerbeds. The most striking sight is Pomnik Braterstwa Broni (Monument of Brothers in Arms), a military memorial from 1967 with two elements shaped like the wings the Polish hussars used to wear. If you’re stuck for ideas on a Sunday in summer you could ride through the centre of Szczecin on a vintage tram. This departs at 14:35 and 15:59 from the Dworzec Główny stop at the main train station and tickets cost 3,5zł for adults and 2,5zł for children. 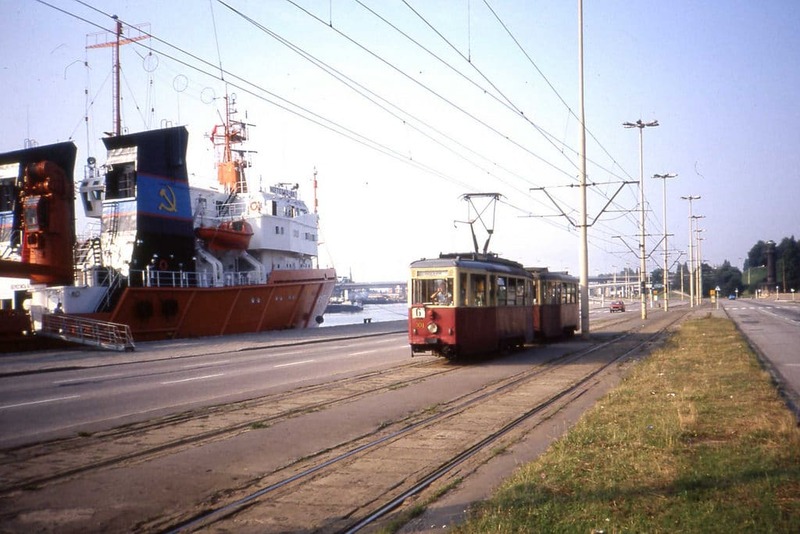 The tram zigzags past sights you might otherwise have missed, like the Harbour Gate, Anchor Monument, Diet’s Palace, Żeromski Park, Grunwaldzki Square and Pomorzany (communist era housing estates from the 1970s and 80s). 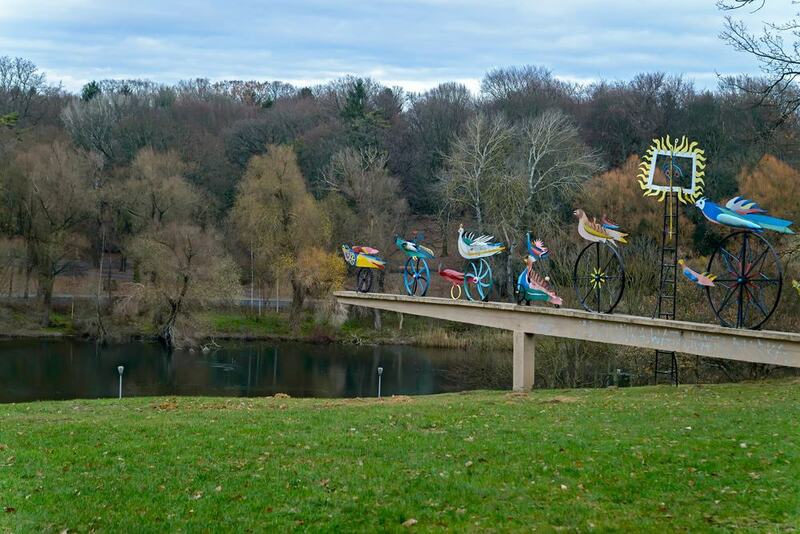 After completing a loop, the tour finishes on Ulica by the Oder, a short walk from the station.